Remember last week when I said the recipe for Chicken and Summer Vegetable Tostadas might be the easiest recipe ever? 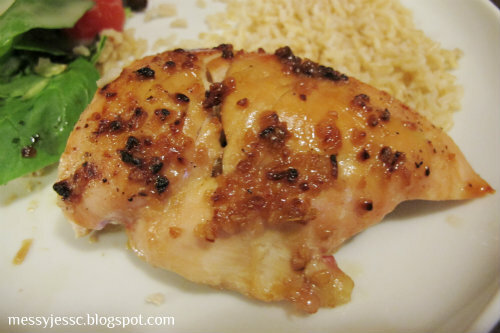 Well, it turns out I lied, although I didn't know I was lying at the time, because it was, in fact, the easiest recipe ever until I discovered today's recipe for Garlic Chicken. This recipe only requires four ingredients and about a half hour total to make. First, preheat your oven to 500 degrees and lightly grease a casserole dish. 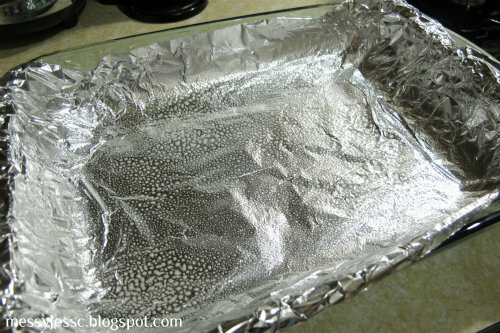 We found that clean up is a lot easier when the dish is lined with foil. 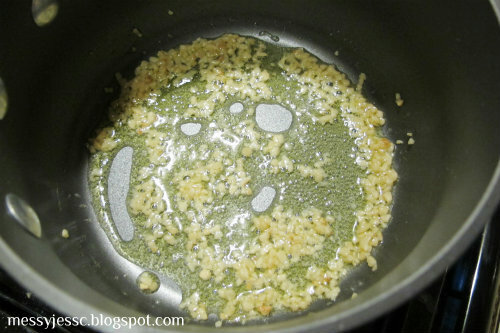 Next saute, in a small pan, the garlic with the oil until the garlic is tender. 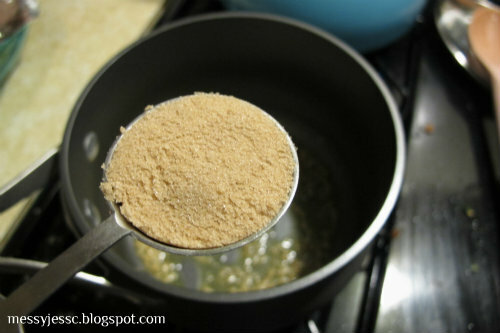 Once the mixture is ready, remove the pan from the heat and stir in your brown sugar. 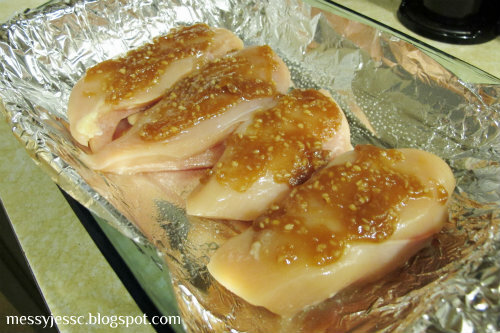 Place the four chicken breasts into your prepared dish and coat them with the garlic and brown sugar mixture. Add some salt and pepper to taste. Pop the dish in the oven for 15-30 minutes (ours actually took a little over 30 minutes to cook fully) and once it is cooked through serve with rice and a side salad (to add some color to your plate) and enjoy. If this piece of chicken looks small to you, it's because it's actually missing a bite. It tasted so good, I actually forgot to snap a photo at first. Check out this easy and tasty recipe, along with others on my What's Cookin' page.